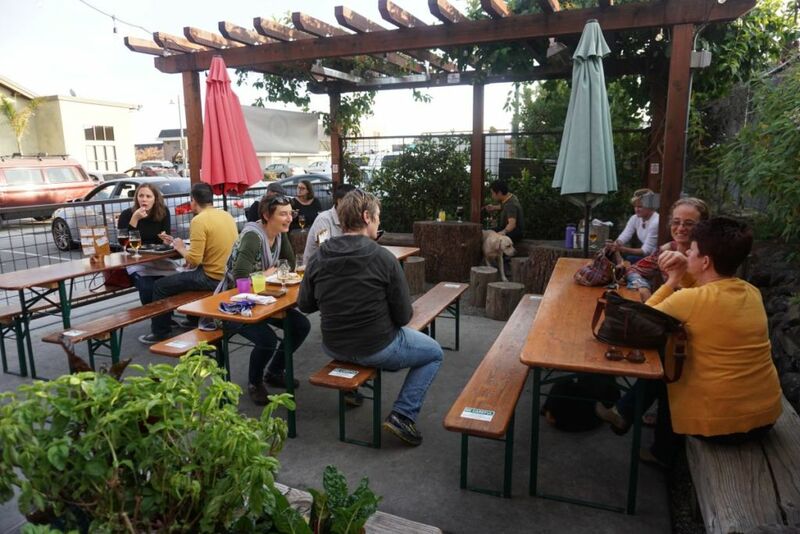 I try to make regular trips to Sante Adarius Brewing in Santa Cruz but in the process I like to explore local breweries in the hops of finding a spot that gives me another reason to go back to the area. 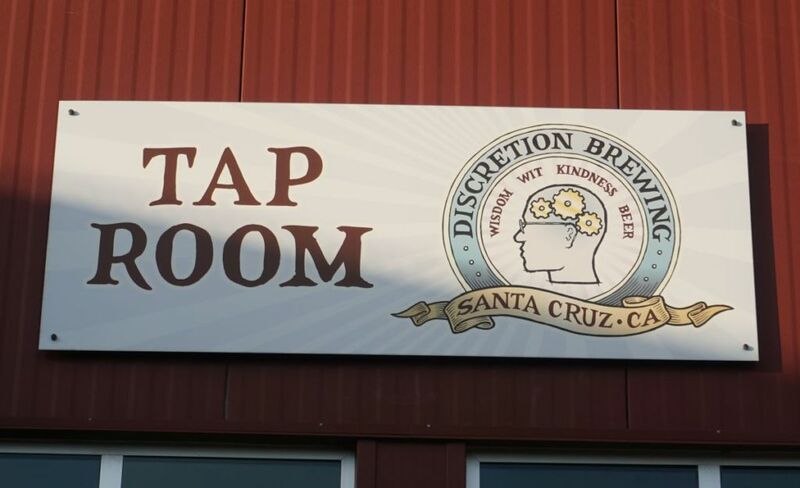 Discretion Brewing is located in Capitola area only a short drive from Sante Adarius Rustic Ales. Discretion often comes up as a place to go if in the area and already had what you want at Sante Adarius. They do quite a few barrel aged beers though they only had one available when I visited and it was bottles only. So I only tried their standard lineup. The beers were all well-made even if some were not completely to style. The schwartz was well made and had notes of bitter chocolate and light roast though it seemed more like a porter than a black lager. It was still very easy to drink. The ESB was tasty with notes of apricot hop and clean bitterness. It could have had a bit more malt flavor to be more traditional but it was easy drinking and not very bitter. The Dubel had a mix of holiday spoice and raisins with a moderately dry finish without too much sweetness. The Hop Bebop IPA was an excellent version of the standard grapefruit and pine West Coast IPA with a light bitterness and dry finish. This could pass for Duet from Alpine any day. The stout was tasty and smooth with notes of burnt toffee and tons of roast. It was a good balance with a nice dry finish. The Barley Wine was more on the sweet side, sticky sweet with notes of dark fruit and not a ton of hop character. It was OK but I didn’t love it either. 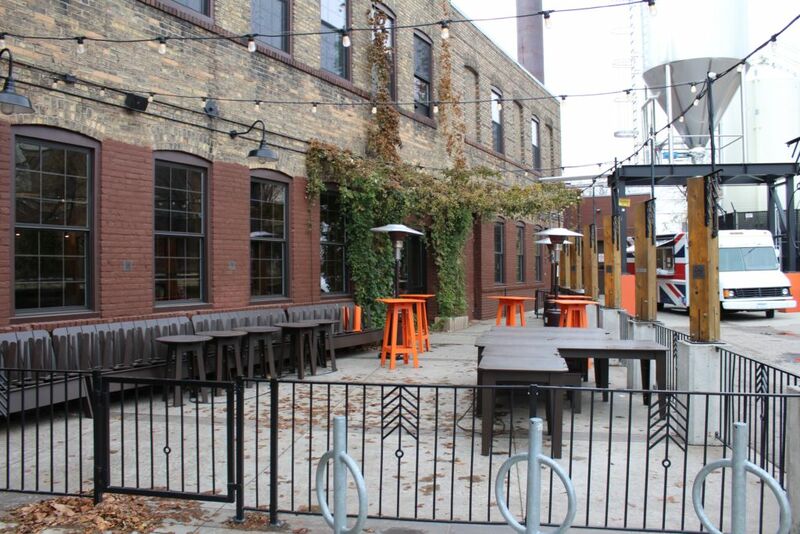 Discretion has a fairly large indoor seating area and a nice cozy outdoor seating area. We sat outside and enjoyed the fresh air. 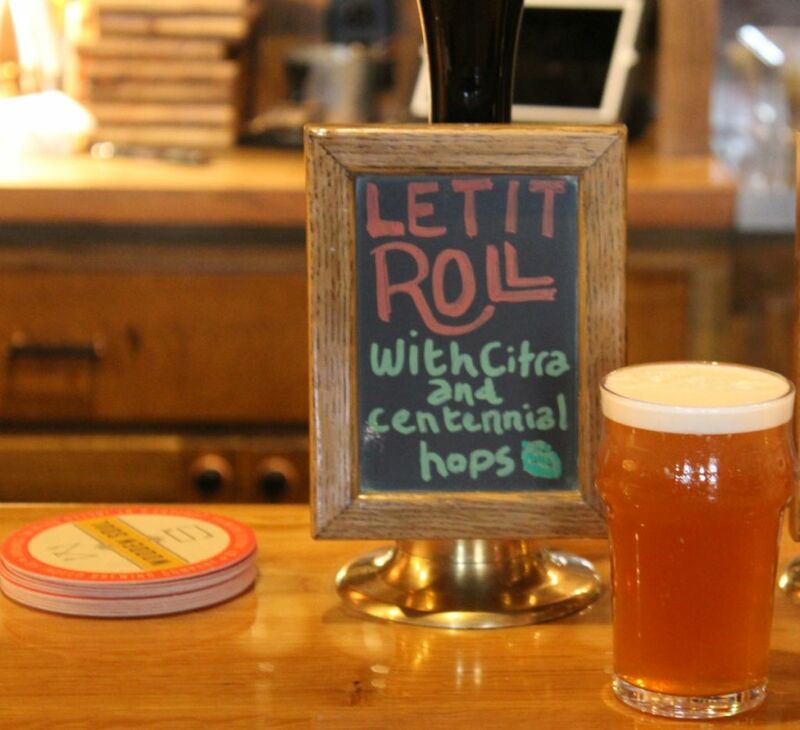 As far as the core beers go, they are a worthwhile stop for any local who wants a classic IPA. 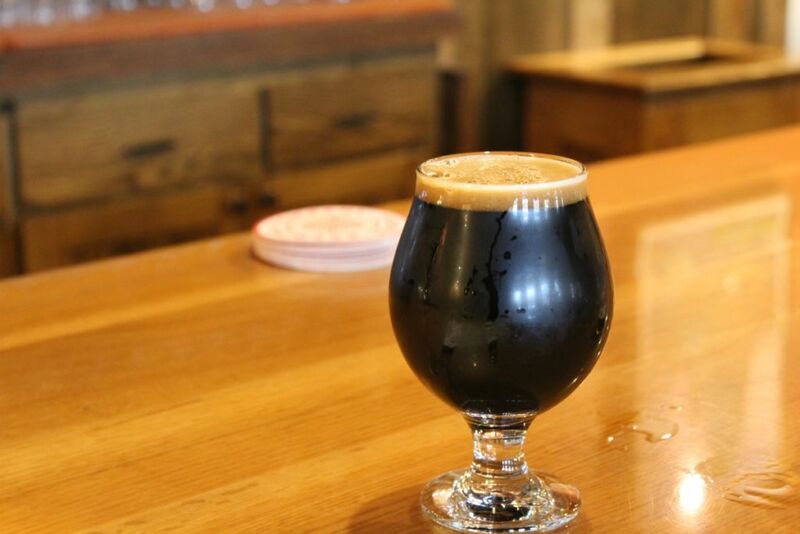 For those who prefer coffee in their stouts, you can always go to New Bohemia nearby instead. The last time I was in Minneapolis I didn’t try anything at Indeed because they were packed due to a special event down the street from them. I could see the crowd of people outside and suspected the inside crowd was just as crazy. 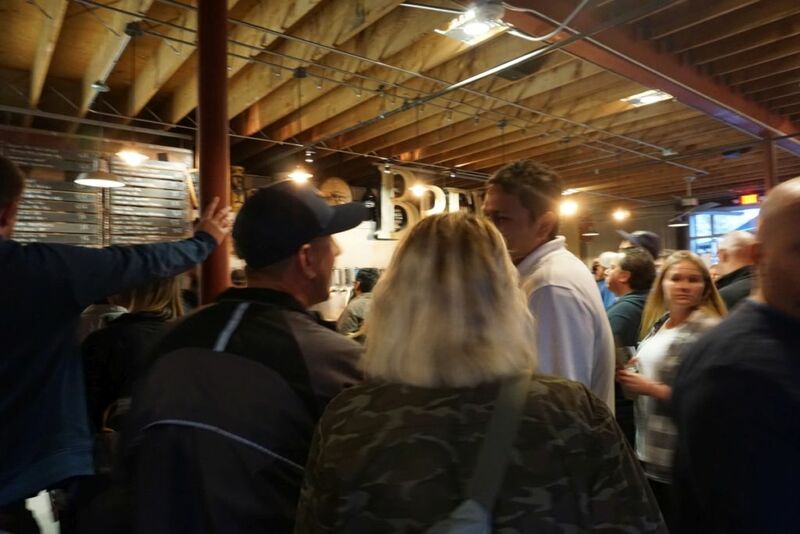 Thankfully this time they were much more reasonably crowded and I got to try a few beers. One thing to note though is they don’t serve tasters of anything so I was not able to try more than 4 beers before moving on to the next stop. Outdoor seating area that no doubt is full to the brim during the summer but was abandoned on a cold day. I started with their Zwickel, an un-filtered Pilsner. It was crisp and dry with cracker notes and light grape character. I would have preferred more intense lager yeast character but it was well-made and easy drinking. 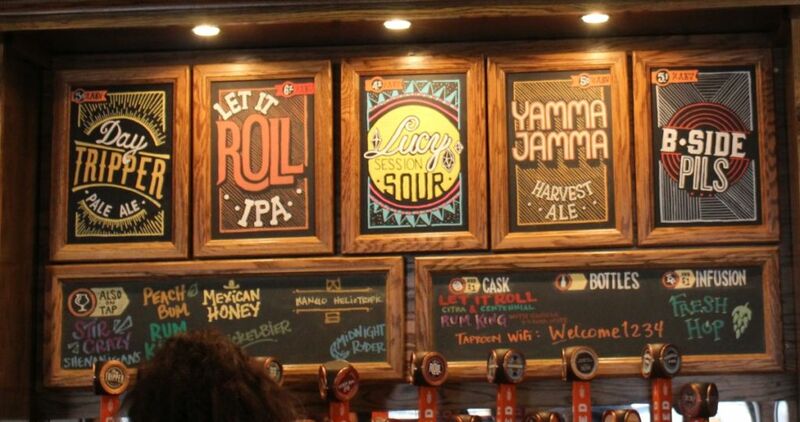 I tried splashes of 3 of their hoppy beers before ordering a cask of their Let it Roll with extra hops. It was super creamy with notes of pine and a mix of floral and herbal bite on the finish with low bitterness. I enjoyed this the most of the hoppy beers they had though I still would have preferred more fruit character. The Mango Helio was their mango sour. It had intense juicy mango character at times tasting like candied mango with a light tart finish. 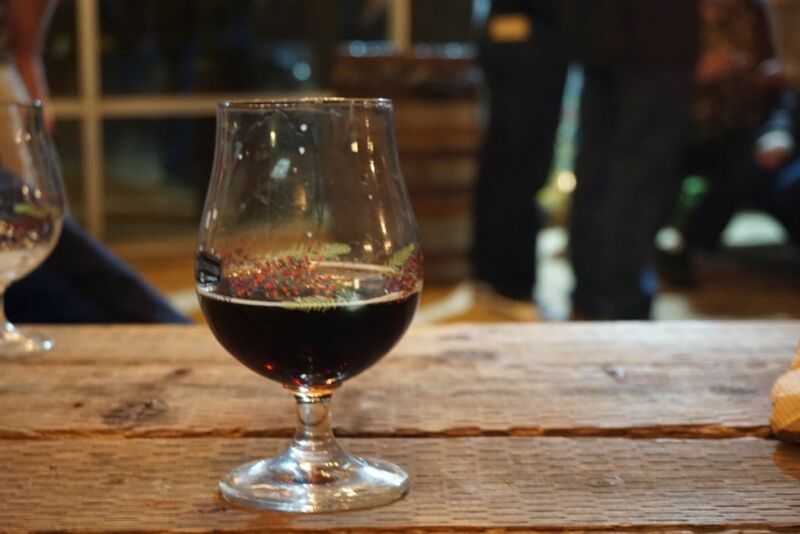 The Rum King imperial stout had intense tropical rum character with a creamy base that hid the alcohol quite well. I found the beer to be fairly thin and the flavors to lack complexity. I didn’t taste much more than rum. Indeed had a great lineup of beers and I would have loved to have tried more than I did but what I had was quite good. 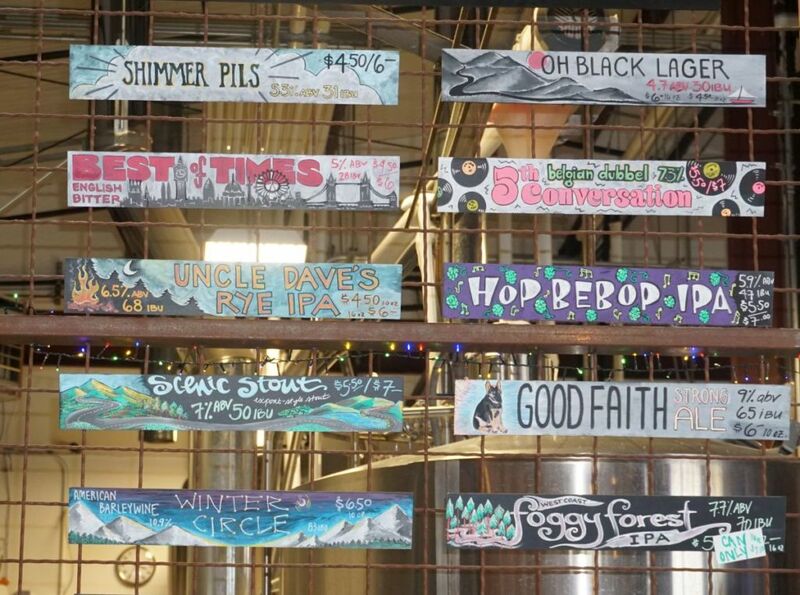 If you are in MSP for a weekend Indeed is a great stop and they are properly recommended as one of the better breweries in the area. 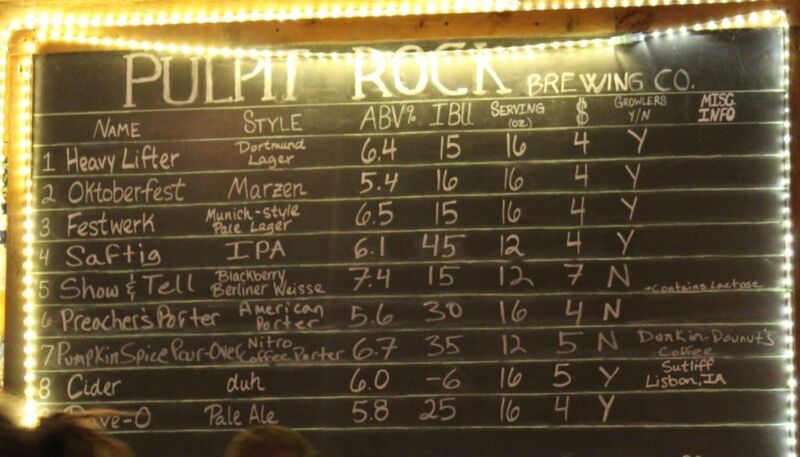 Pulpit Rock opened in Decorah just down the street from Toppling Goliath. 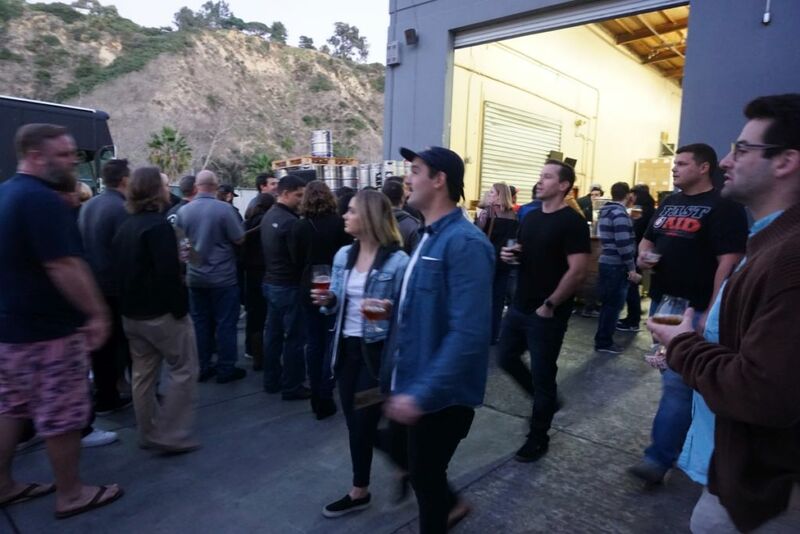 They managed to distinguish themselves enough to grab some overflow beer nerd crowds from those who are coming down for their neighbor. 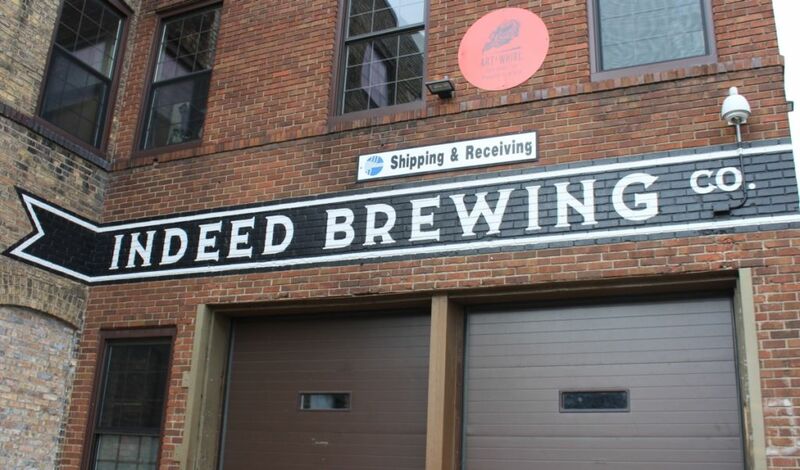 You can easily walk from one brewery to the other assuming it isn’t the dead of winter. 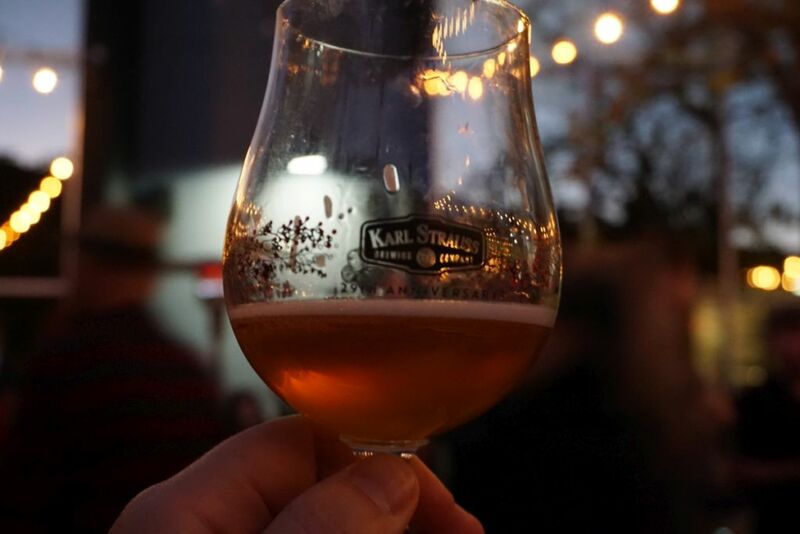 I started with their Show and Tell Berliner Weisse. It was an excellent example of the style with tons of jammy berry character and a light tart finish. I didn’t notice the lactose in the flavor. The Dave O Pale was creamy and hazy with grassy and citrus character and tons of hop aroma. It was quite the tasty hazy pale. 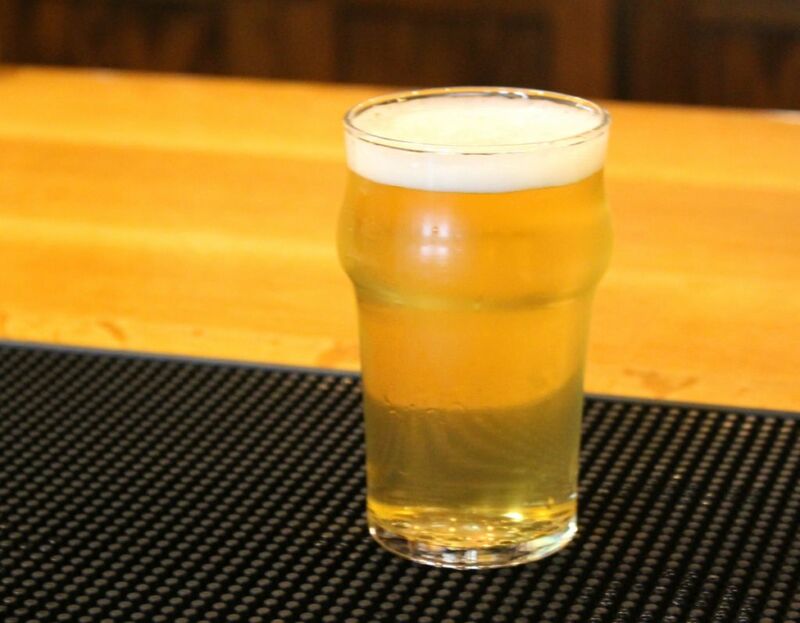 The IPA was similarly creamy with notes of vanilla and candied fruit and light hop acidity. The pumpkin porter was very spice forward on the nose and had tons of holiday spice on the taste with light chocolate and an overall nice balance of flavors such that it tasted like liquid pumpkin pie. It was super creamy and delicious on nitro. 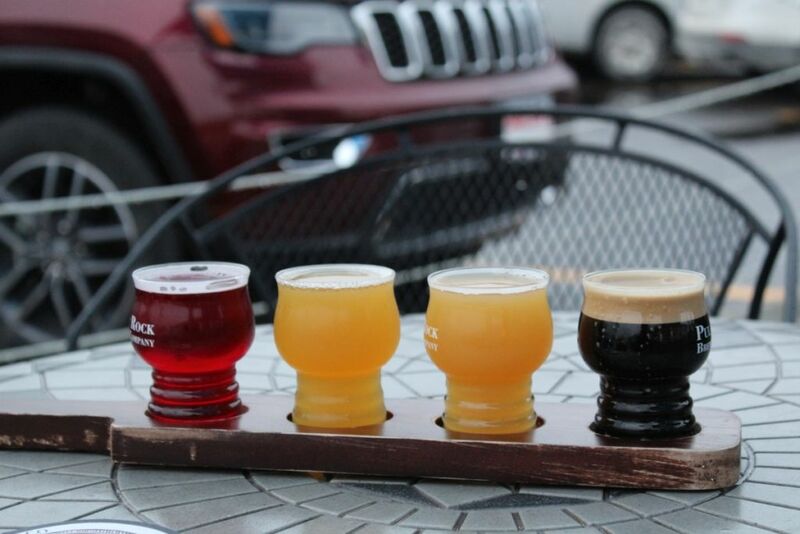 Pulpit Rock appears to focus on hazy IPAs and kettle sours with lactose. I was quite impressed by both of the styles. Depending on what is available at Toppling Goliath on a given trip, it would make sense to visit Pulpit Rock at the same time. 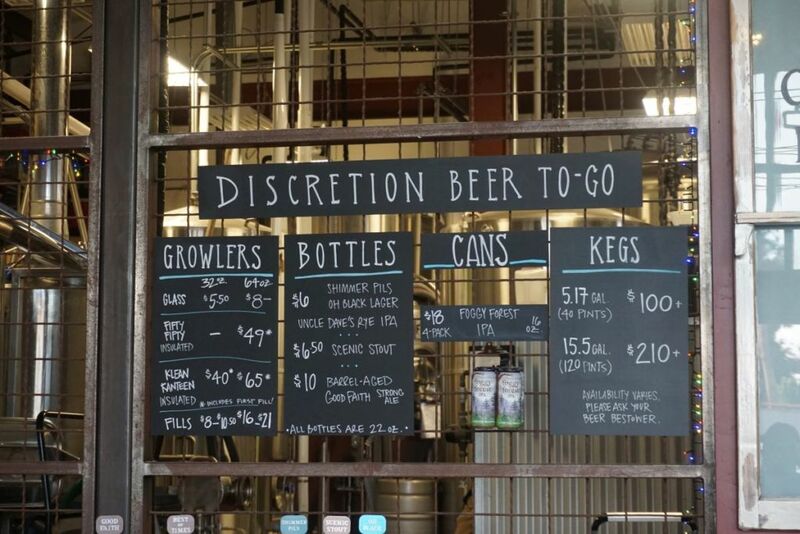 They have crowlers available of some of their beers on occasion. I already had maxed out my luggage space with Toppling Goliath beers or I might have added a crowler or two of their hazy IPA. Though it was cold as hell outside, maybe 45 degrees, I sat out on the patio with my beers because it was really loud inside with a full crowd and hardly any space left. After Toppling Goliath I really needed the quiet time though I did drink my flight a little faster than I might have otherwise because I wanted to get warm inside. Black Plague’s address is Oceansidse but they are so inland they are almost Vista. 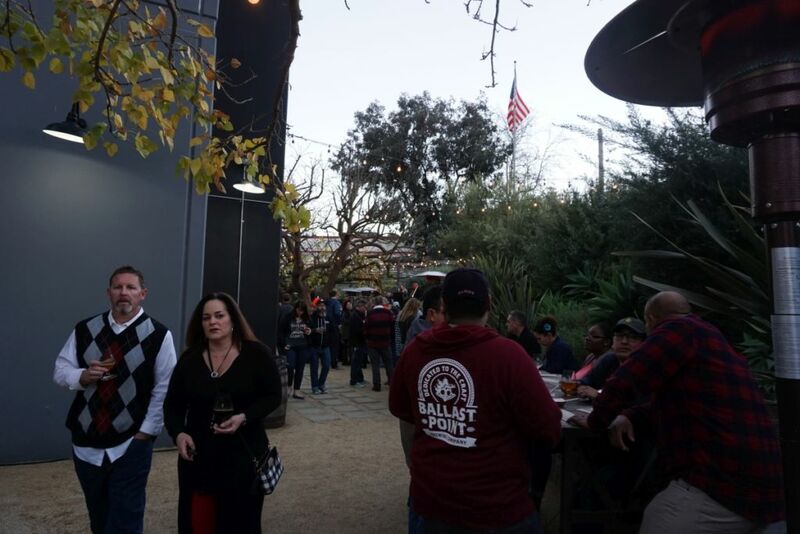 They have a large tasting room space where they serve a variety of beers and occasionally have live music, like the Friday I visited. 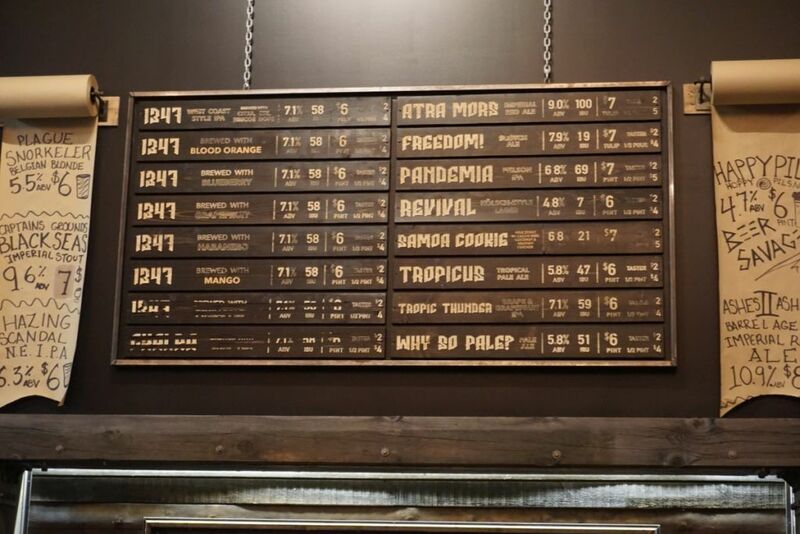 Thanks to some help from industry veteran Bill Batten they have a great lineup of clean quality beers. 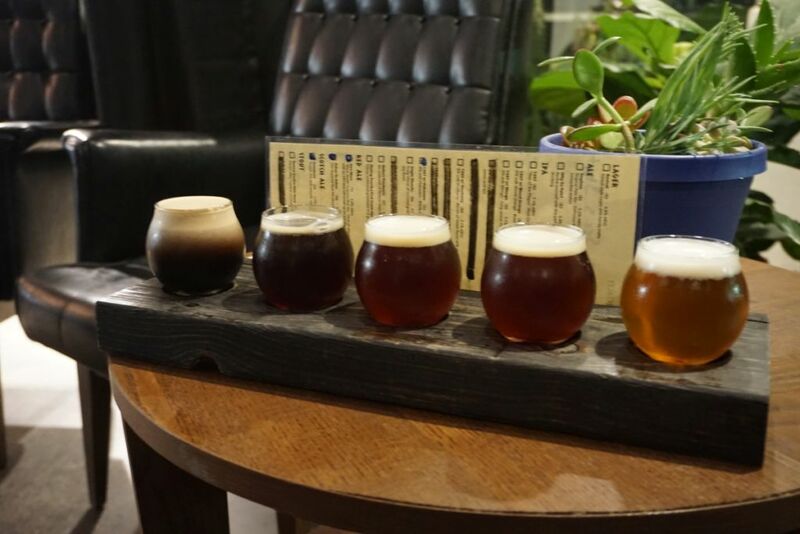 I tried 8 beers when I visited and they were all quite good. I was a little put off by the name but the beers are of high enough quality that I am willing to overlook that. 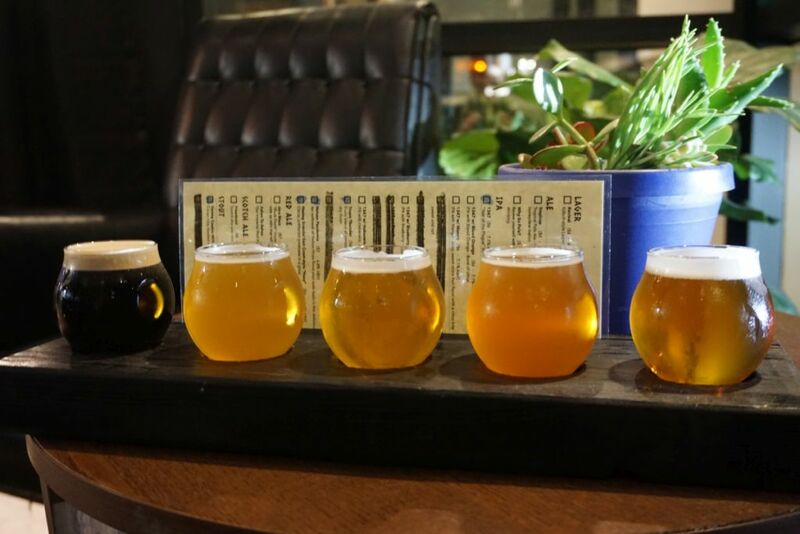 Though it may look like they have a ton of beers, they have six different versions of their core IPA with various flavors added. I started with a flight of mostly hoppy beers. The 1347 IPA was classic bitter with balanced biscuit malt backbone and not a ton of aromas. I got some hints of alcohol taste near the end but nothing overpowering. 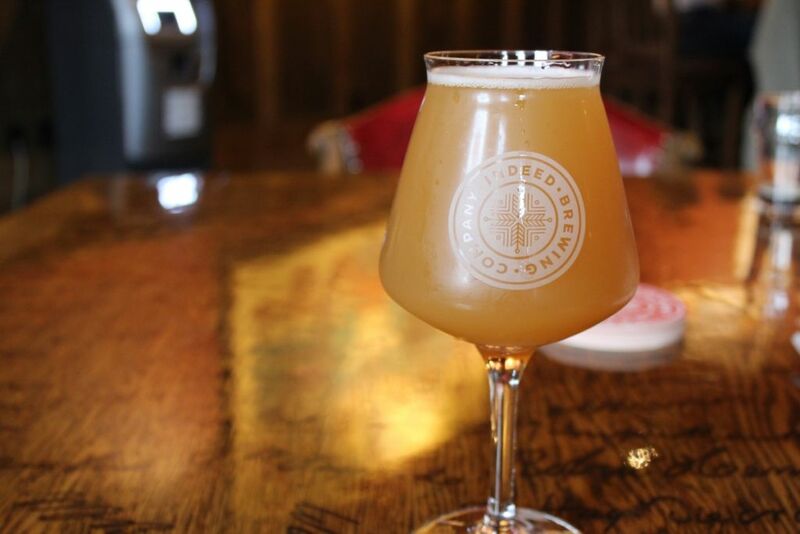 The Hazy Scandal was not particularly hazy as expected by a newer brewery. It had a light amount of turbidity and tons of tropical fruit flavor with a medium bitter finish. Though it wasn’t hazy it was a good example of the modern juicy West Coast IPA. The Pandemia with Nelson was an excellent single hop Nelson beer with tons of melon and citrus notes and a light malt base. The Tropic Thunder IPA with grapefruit added had a powerful grapefruit flavor that overpowered the base beer but the flavors worked well together. It was clean and easy drinking. The Samba Cookie nitro stout was smooth and creamy with a light body and mild sweetness from the coconut and chocolate. The various adjuncts worked well together and none dominated giving it a clean easy-drinking flavor. 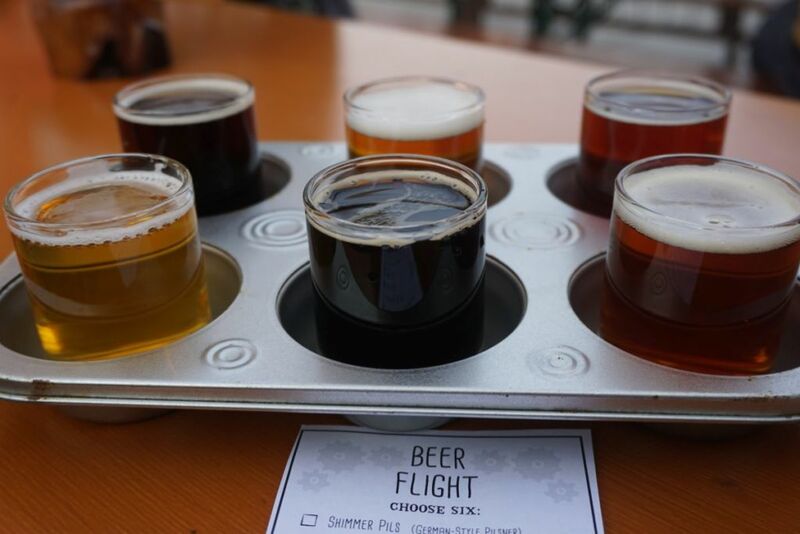 For my second flight I went for the stronger beers which were mostly over 8% alcohol. The imperial red was intensely bitter but balanced nicely by the roasty base malts. It was smooth with notes of red grape and a dry finish. I was glad that it didn’t have an overly thick sweet body to it. The bourbon barrel aged version of the same beer was quite tasty with a strong bourbon nose and tons of caramel flavor and a dry finish. I was surprised to see they already had bottles of this beer for sale. The scotch ale had a dark red color with tons of roast and notes of raisins and plums. It was a well made beer. The imperial stout on nitro was excellent with tons of coffee and caramel notes and a thick creamy body from the nitro. If I hadn’t already had so many strong beers I might have ordered more of this. I ended with the habanero version of the 1347 IPA. The beer had a strong spicy bite. The fruity hops complemented the spice though I don’t recommend this for anyone who is not excited by the mention of habanero as it was quite spicy. 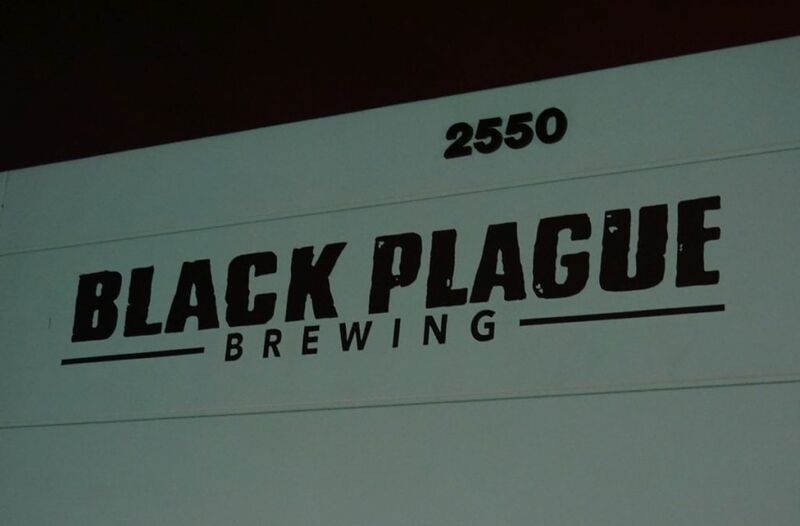 Black Plague is quite the drive for me but I am glad I visited because they have an excellent lineup of beers for a young brewery. They had a large open space with tons of seating and a lineup that has a good balance of styles. 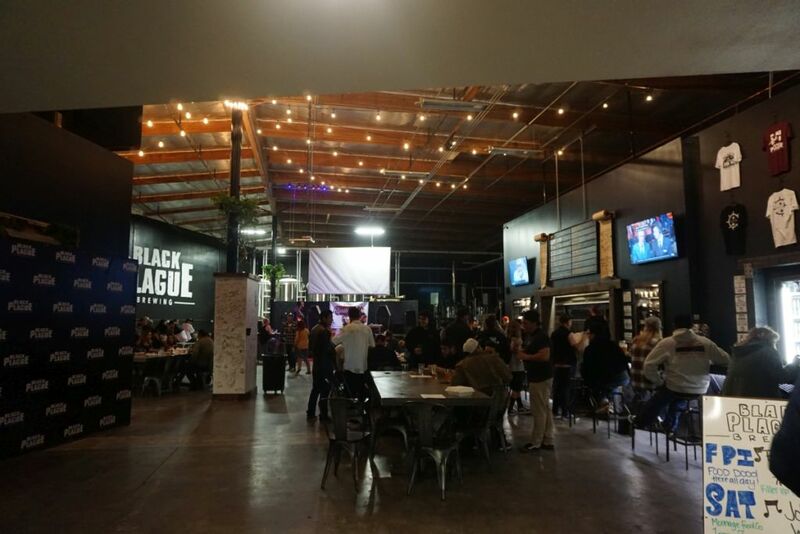 For the people who live nearby, Black Plague is a great spot to visit for IPAs or stouts. 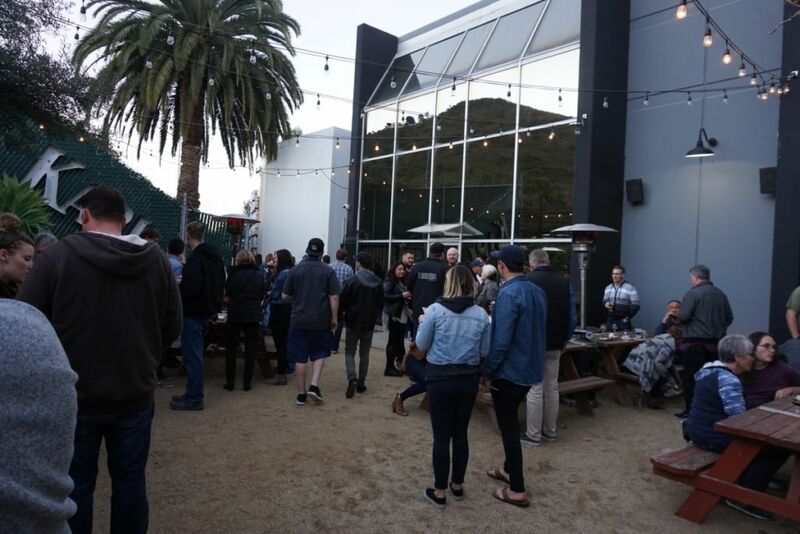 Nothing they brew is so amazing that people down in Southern San Diego must make the long drive but it is a great addition to the neighborhood.